Long-term care insurance is unlike traditional health insurance because it is designed to cover long-term services and supports. The coverage can cover personal and custodial care in your home, community organization, and more. When you have long-term care insurance, you get daily reimbursements for services to assist you with bathing, dressing, eating, and more. There is a range of care options and benefits that allow you to get the services you need. Depending on how old you are when you buy the policy, the benefits that you choose and the cost of your long-term care policy will differ. We can help you choose the best plan so you get the most out of your long-term care insurance. Many of the long-term care policies have limits on how long you can have the insurance or how much you have to pay. 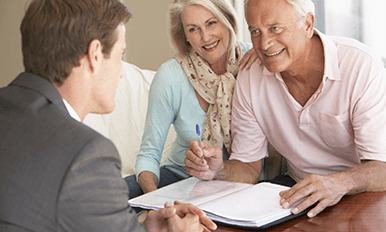 Let Alexander Financial Services help you get the most out of your policy for as long as you need in the Greenville, NC. Schedule your appointment to talk with us, and we’ll help you through the long-term care insurance process to ensure you are covered.